The global economy is growing yet contracting at the same time when it comes to job creation. Those who made a living performing various online work thrived by growing to over 750,000 new jobs which were posted on the various Freelance job sites, surpassing over $600 million in earnings. The number of businesses around the globe who are deciding to hire specialized online freelancers grew by over 125% percent from the previous year. The hiring of these professionals has also spread to over 110 different countries around the globe. In the United States alone, earnings grew to all 50 states, including most of the hardest hit economic regions when it comes to unemployment. Businesses of all sizes are developing innovative employment workforce models which blends full-time as well as part-time, remote and local employment opportunities using contract workers. The practice of hiring then managing professional talent online is being adopted in escalating rates by small businesses and large industries according to a work creation survey. 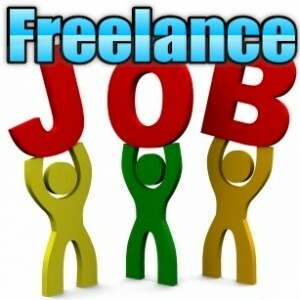 Many are also now planning to hire up to half of their work force as online freelance contractors in the near future. Individuals with specific skills are also pursuing independent freelance based opportunities by using the various online platforms to reinvent themselves and their careers. A recent study of current online freelance professionals revealed that nearly 43% percent of these workers began freelancing so they can be their own boss, experience more freedom while having the opportunity to work on the projects which they love or are familiar with. The benefits of online freelance based work includes being able to control their own time schedules, follow and do what they specialize in while eliminating the everyday commute and dealing with the office politics. • The emergence of the globalized virtual workplace. Companies are increasingly tapping into the online freelance workforce, going across geographic boundaries to find the best suitable professionals which supports and improves their key business initiatives. Professional independent freelancers are building solid careers by deciding to work with multiple clients across the world utilizing their specific niche talents. Online contractors are also collaborating among each other remotely, across borderless geographies or time zones. The advances in technology enables these professionals with better online collaboration, instant assessment as well as security identity verification. These factors make significant contributions towards the virtual workplace. • Specialized Independent Professional Services and expertise based in North America is becoming an excellent virtual overseas export product. Since there’s a growing global demand for this type of talent, the demand has exponentially increased over the past few years, and it’s set to grow even quicker as the various online freelance platforms become established. They are able to break down any existing global barriers while opening up excellent opportunities for collaboration. Professional North American based freelance contractors distributed their services and expertise to more than 130 countries around the world, while the global hiring of consultants experienced a significant increase as well. • The increased adoption of the overall contingent workforce is elevating the importance of compliance. Being able to directly tap into the power of a flexible floating workforce, companies around the globe of all shapes and sizes are turning towards the online freelance employment platforms, so they can facilitate compliance with their own internal controls as well as evolving government regulations.